With its grills prepared in front of you in the fireplace and accompanied by vegetable garnishes served at will, the Courtepaille Troyes Saint André revisits the French tradition, for the pleasure of all budgets. The menu combines simple recipes with a good local taste, such as andouillette, apple pie or "petite maison", the favourite ice cream for children, and homemade "creations" such as straw-burger. 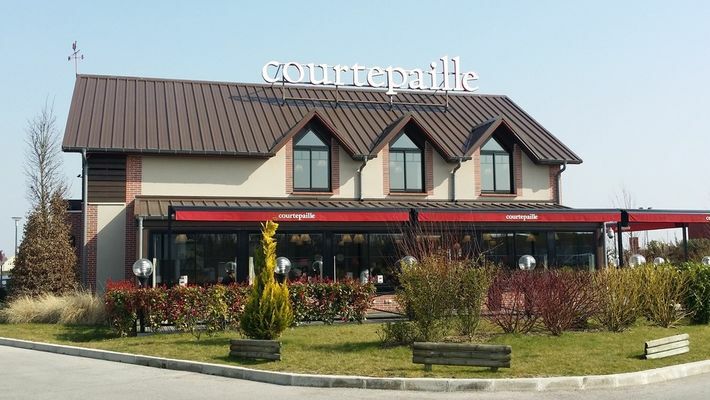 The menu lives to the rhythm of the seasons and offers a wide variety of grilling dishes: beef, pork, poultry, lamb, fish... to be enjoyed alone or shared, without moderation at Courtepaille Troyes Saint André in Saint André Les Vergers ! Bonne cuisson des plats. peu d'attente. agréable.